The latest AASL column has been posted, The Changing World of the E-book by Barbara Opar. Artstor, the Columbia Graduate School of Architecture, Planning & Preservation (GSAPP), and the Avery Architectural & Fine Arts Library are now sharing an additional 10,000 images of architectural plans and sections and related materials in the Digital Library. Read the latest AASL column Revealing the Hidden Beauty of Artists' Books Through Events and a Virtual Catalog by David Eifler and Molly Rose, University of California, Berkeley. Editors are accepting article proposals for both the Spring 2017 and Fall 2017 issues of ART DOCUMENTATION, the semiannual peer-reviewed journal of the Art Libraries Society of North America, co-published by the University of Chicago Press. Articles should fall within the scope of art and architecture librarianship, visual resources curatorship, digital image management, technology related to the visual arts, art publishing, artists’ books, and related fields. The deadline for the Spring 2017 issue is September 1, 2016; the first draft of the article should be completed by this date and be ready to submit for peer review. The deadline for the Fall 2017 issue is March 1, 2017; feel free to contact me any time before this date to submit an abstract or to discuss your proposal. ART DOCUMENTATION contributor guidelines may be found at https://arlisna.org/index.php?option=com_content&view=article&id=257:art-documentation-contributor-guidelines&catid=18:publications&Itemid=146. Thanks for your interest in publishing in ART DOCUMENTATION! Read the latest AASL column How to Manage your Online Scholarly Identity by Anne E. Rauh, Science & Engineering Librarian, Syracuse University Libraries. The AASL Programming Committee is now accepting proposals for the 2017 AASL Annual Conference, which will be held in Detroit, Michigan, March 23-25, 2017. Conference programming will include lightning talks, conference papers, and tours. Lightning talks are 6 minutes with a maximum of 12 slides; papers are15-20 minutes in length. We are issuing a call for both lightning talks and conference papers. We have listed several topics below that were identified as important to the membership based on feedback from the 2016 post-conference survey and our Strategic Planning session in Seattle. We also want to capitalize on the fact that we are meeting in Detroit. While our tours will bring you to special places in the city, we want to bring Detroit to some of our sessions too. Detroit will be both case study and analogy. As a case study, we’ll explore representations of the city and its built environment across various media (you will hear more on that as the conference draws near). The analogy that Detroit provides for architectural librarianship is that tension between old and new. When faced with the inevitability of change, how do we acknowledge the past, while welcoming the present? Just as Detroiters (natives and new blood) are figuring out not only how to coexist but to work together to build a new model of a city; how do our old and new skills, services, and spaces build upon each other to provide a new model for moving forward in architectural librarianship? We grow as we learn from each other. Here are some suggestions for presentation topics. See what inspires you. Fill out a proposal form so that we can hear about your work. Proposals for either presentation format should not exceed 250 words. The submission deadline is September 16, 2016. Please use this Google Form to submit your proposals: https://goo.gl/VxDQYK. We look forward to reading your proposals and seeing you at the conference! We are pleased to share with you Cathryn Copper's intriguing article on the research process. Join us in Philadelphia. 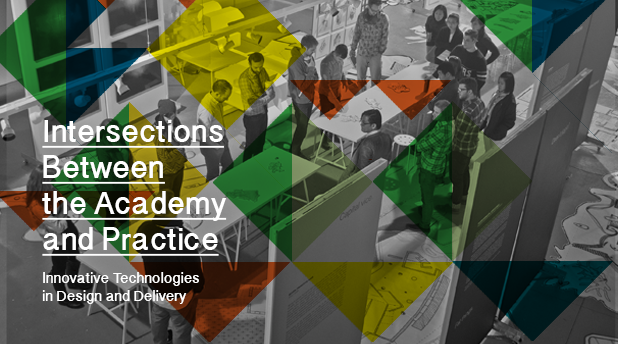 AIA and ACSA are pleased to host the second joint Intersections Between the Academy and Practice symposium. Join us Wednesday, May 18 at the AIA Convention in Philadelphia for a full-day of sessions on the topic of technology. Thanks to Megan Lotts for an interesting posting to ACSA News on a landscape architecture outreach project. Lucy and I appreciate the contributions AASL members are making to the column as we work to stay engaged with our ACSA colleagues. Happy weekend.